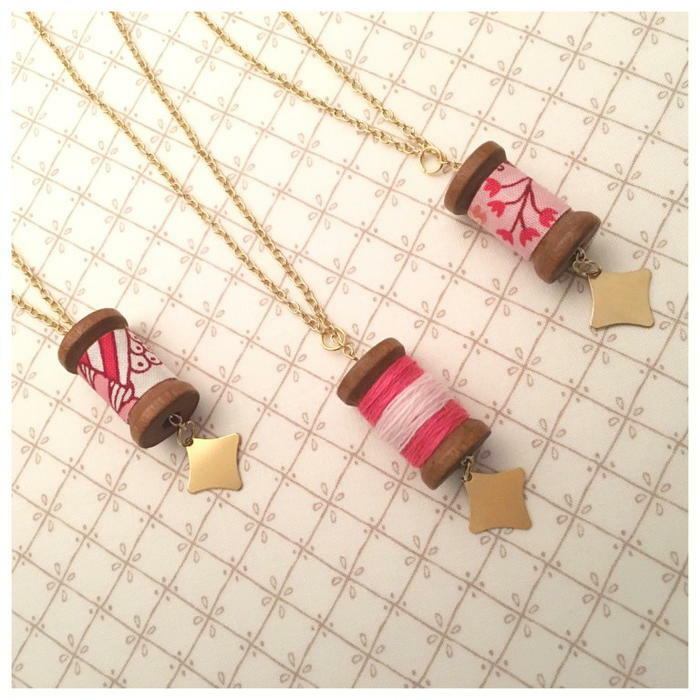 Day 21 of National Craft Month means that this wonderful month of projects and prizes is over! Yesterday we learned all about how you crafters like to use fabric in your crafting projects. 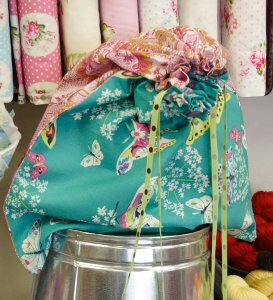 The Fabulous Fat Quarter DIY Bag project and giveaway was provided by our friends at Jimmy Beans Wool. Thank you all for participating in another wonderful National Craft Month celebration! 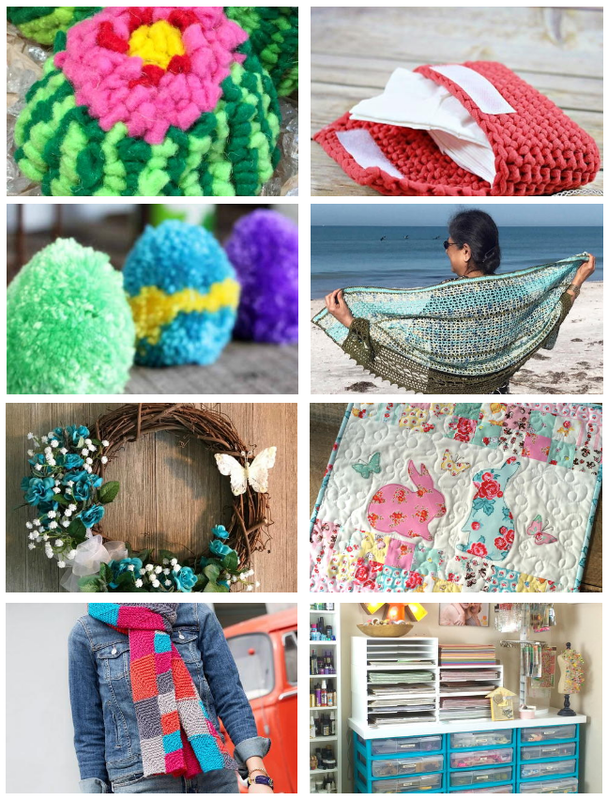 We asked: How do you use fabric in your craft projects? Congratulations Janice, who replied, “I love various projects. dresses for my granddaughters, making quilts, baby blankets, bibs, etc. 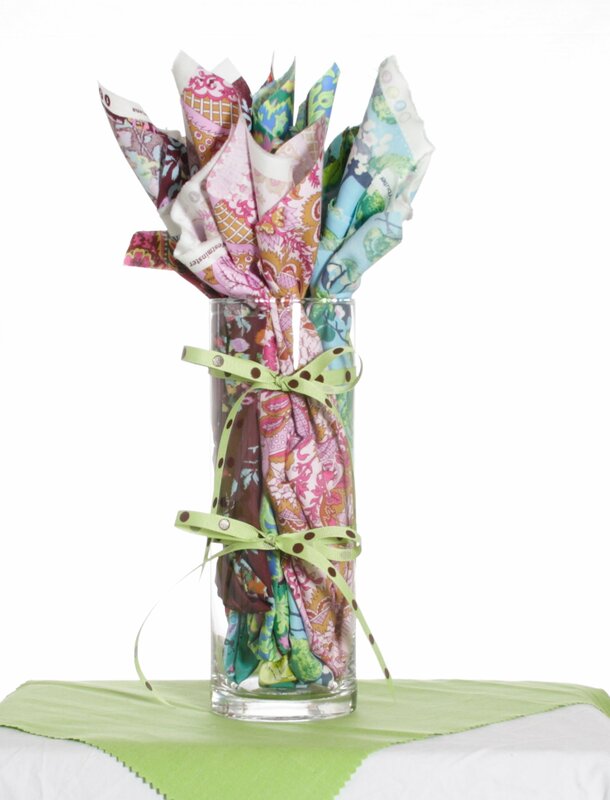 I would love to win this” Enjoy this fabric bouquet and make pretty projects this spring Janice! You can find yesterday’s Fabulous Fat Quarter DIY Bag in our free eBook, 18 Projects Every Crafter Wants. Happy National Craft Month! Day 20 of National Craft Month prompted me to do some paper crafting over the weekend! I love making things out of paper and it sounds like you all do too! 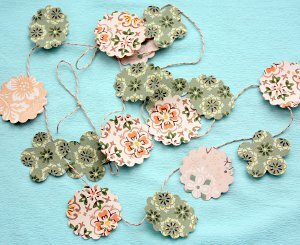 The Punched Paper DIY Garland project and giveaway was from AllFreeChrismasCrafts. Even if you didn’t win today, today’s the last day to enter to win our grand prize! We asked: Have you ever made a garland? Congratulations Laure, who replied, “no, I never made garland, but would like to try to make some for my daughter’s wedding!” I hope this prize inspires you to create a wonderful garland for your daughter’s wedding! You can find yesterday’s Punched Paper DIY Garland on AllFreeChrismasCrafts. 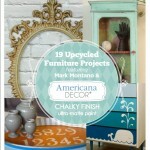 Be sure to see more great projects in our free eBook, 18 Projects Every Crafter Wants. Happy National Craft Month! Today’s day 21 in our month long National Craft Month Giveaway. Come visit our blog every day to enter to win a different prize of the day. Find the contest rules and enter below. Today’s featured project is from Jimmy Beans Wool. 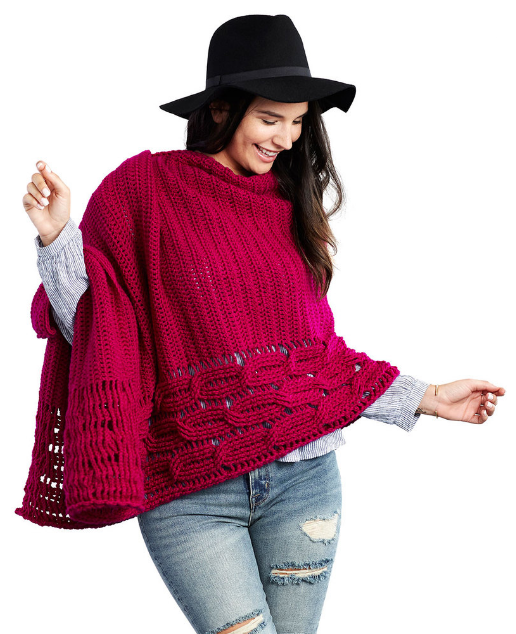 Do you have a few extra fat quarters left from another project? Try creating this Fabulous Fat Quarter DIY Bag. It’s a great way to use some of your left over fabric and create a fun new accessory. Today’s prize is from Jimmy Beans Wool. Enter to win a bouquet of Fat Quarters to help you quilt your heart out! How do you use fabric in your crafting projects? You must “like” both the FaveQuilts Facebook and the Jimmy Beans Wool Facebook pages to be eligible. You have until tonight, March 31st, 2014 at 11:59p EST to leave your comment on this post. Comments posted after that will not be counted. 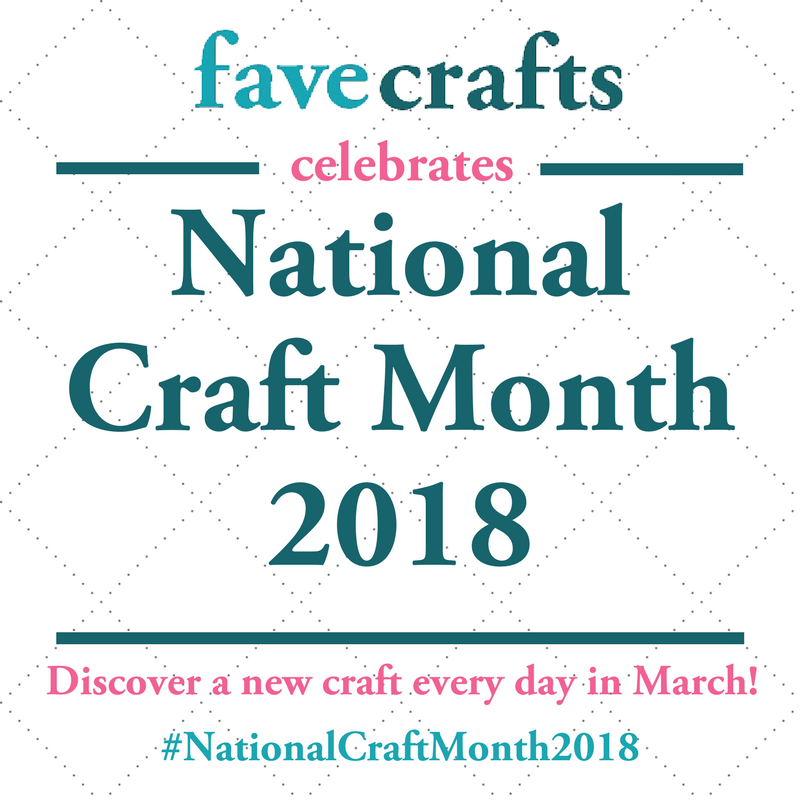 Day 19 of National Craft Month is over and I can’t believe that March is almost over! Time flies when we’re having fun over here at FaveCrafts and time also flies when you are crafting! Let’s hope that spring gets here soon. The Splendidly Spring Paper Watering Can project and giveaway was provided by Xyron. Even if you didn’t win today, keep entering to win our grand prize and stay tuned for more great prizes every week! We asked: What are you paper crafting for spring? Congratulations Tammy, who replied, “I am almost finished with my craft room. 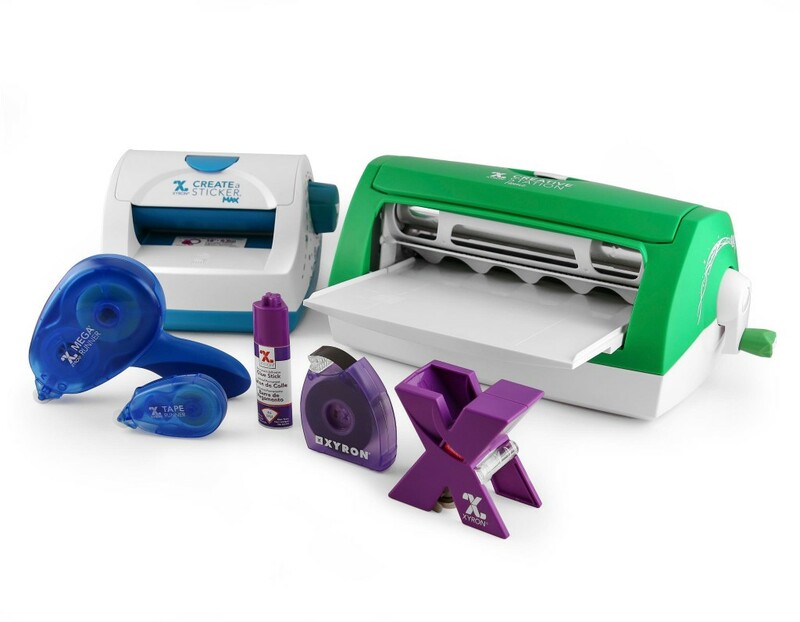 My granddaughters (7,6,5) are so excited and looking forward to learning all about crafting, This would be wonderful tool for them to begin crafting.” You and your granddaughters will have so much fun crafting with these Xyron products! You can find yesterday’s Splendidly Spring Paper Watering Can in our free eBook, 18 Projects Every Crafter Wants. Happy National Craft Month! Day 18 of National Craft Month proved just how important a good pair of scissors can be! Everyone crafts with different medias and it can be frustrating when you don’t have the right tools to do the job. 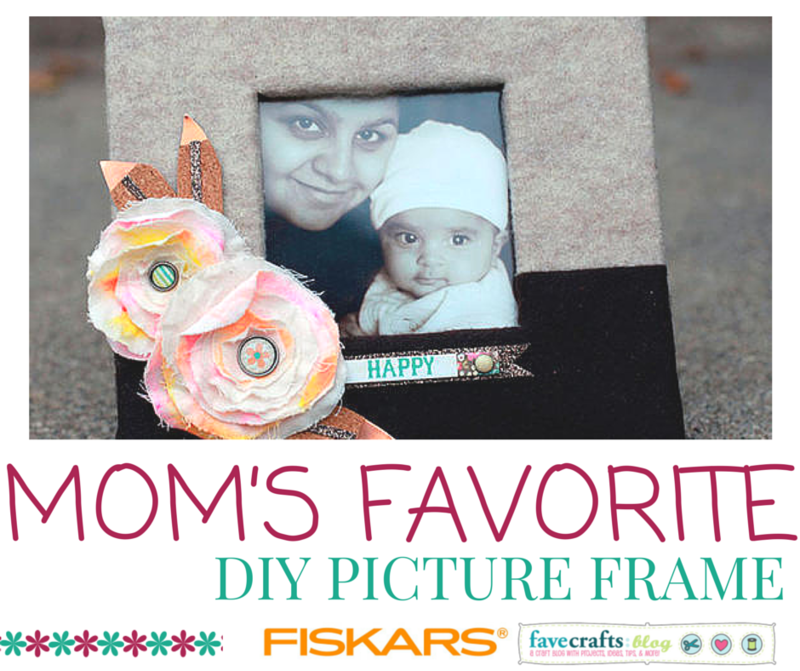 The Mom’s Favorite DIY Picture Frame project and giveaways was provided by Fiskars. Even if you didn’t win today, keep entering to win our grand prize and stay tuned for more great prizes every week! We asked: What are your favorite materials to craft with? Congratulations MaryAnn, who replied, “I believe in recycling, so I save and reuse any type of material I find (paper, cardstock, ribbon, string, yarn, fabric, foil, ….). My main interests are cardmaking and needlecrafts.” We’re all about using recycled materials to craft – enjoy your scissors! 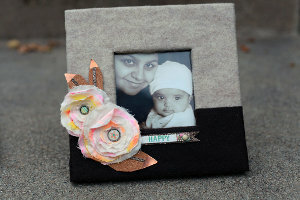 You can find yesterday’s Mom’s Favorite DIY Picture Frame in our free eBook, 18 Projects Every Crafter Wants. Today’s day 19 in our month long National Craft Month Giveaway. Come visit our blog every day to enter to win a different prize of the day. Find the contest rules and enter below. Today’s featured project is from Xyron. 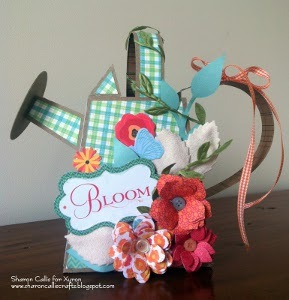 Start crafting for spring with this Splendidly Spring Paper Watering Can. This paper craft tutorial will show you how to create an adorable little watering can to decorate your home just in time for those April showers and May flowers. Today’s prize is from Xyron. 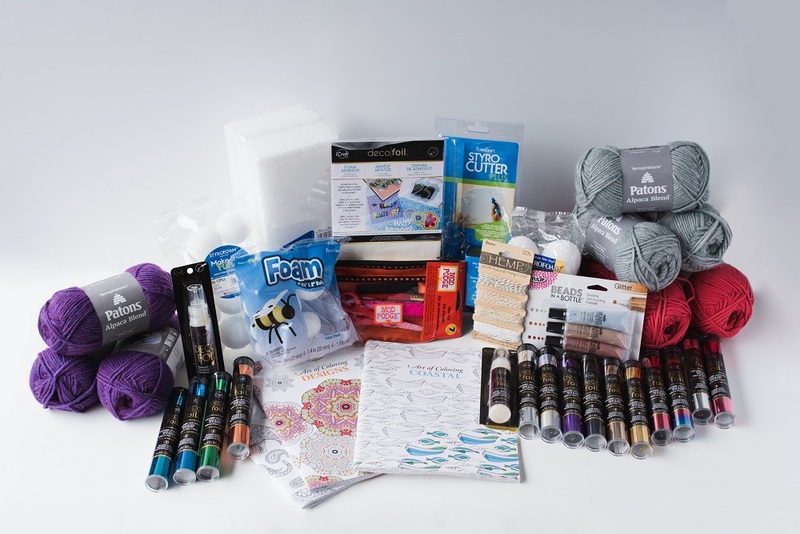 The prize includes: Xyron 9″ Creative Station & Refill, Xyron 5″ Create-a-Sticker Max & Refill, Xyron 1.5″ Sticker Maker & Refill, Xyron Mega Runner & Refill, Xyron Tape Runner & Refill, Xyron Glue Stick, and Xyron Magnet Tape. What are you paper crafting for spring? You must “like” both the AllFreePaperCrafts Facebook and the Xyron Facebook pages to be eligible. You have until tonight, March 27th, 2014 at 11:59p EST to leave your comment on this post. Comments posted after that will not be counted. Day 17 of National Craft Month showed me that even if you craft in a variety of ways, there’s always more to learn! WE are all about learning new crafts and branching out of your comfort zone. 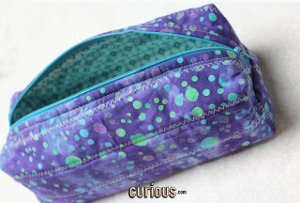 The Simple and Sweet DIY Pouch project and giveaways was provided by Curious.com. Even if you didn’t win today, keep entering to win our grand prize and stay tuned for more great prizes every week! We asked: What types of crafts are you interested in learning how to do? Congratulations Cindy, who replied, “I love marbleizing things! ornaments, envelopes, note-cards, you name it……….I am always experimenting! Some of my best designs have been with shaving cream and dyes!” Learn more techniques from Curious.com with this gift card prize! You can find yesterday’s Simple and Sweet DIY Pouch in our free eBook, 18 Projects Every Crafter Wants. 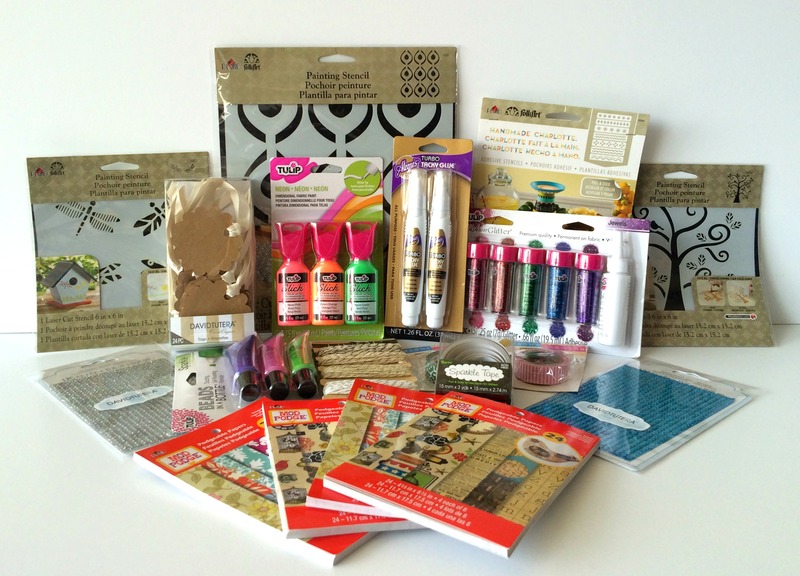 Today’s day 18 in our month long National Craft Month Giveaway. Come visit our blog every day to enter to win a different prize of the day. Find the contest rules and enter below. Today’s featured project is from Fiskars. 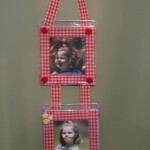 If you’re looking to freshen up your DIY home decor, you should start with Mom’s Favorite DIY Picture Frame. This tutorial will help you upcycle an old frame you’re tired of and create a chic, new DIY frame you’ll be able to fawn over again. 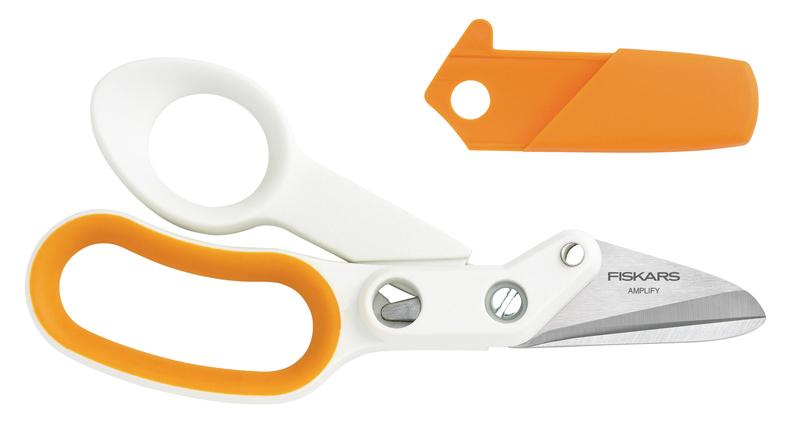 Today’s prize is from Fiskars. Our Amplify® Mixed Media Shears are premium shears designed for cutting extra-thick mixed-media materials. They sense blade separation and force the blades back together to cut cleanly through thick materials like corkboard, thick cardstock, magnet and much more. Amplify® Mixed Media Shears are available in three sizes for cutting in tight spaces, all-purpose cutting and large-scale projects requiring long, clean cuts. For crafting and mixed media enthusiasts hoping to make their next project their best, nothing on the market outperforms Amplify® Mixed Media Shears. All include a sheath to protect the blades and a lifetime warranty. What are your favorite materials to craft with? You must “like” both the FaveCrafts Facebook and the Fiskars Facebook pages to be eligible. You have until tonight, March 26th, 2014 at 11:59p EST to leave your comment on this post. Comments posted after that will not be counted.